Dr. Andrew W. H. Ip has more than 30 years of experience in teaching, research, education, industry and consulting. He received his PhD from Loughborough University (U.K.), MBA from Brunel University (U.K.), MSc in Industrial Engineering from Cranfield University (U.K.), and LLB (Hons) from the University of Wolverhampton (U.K.). 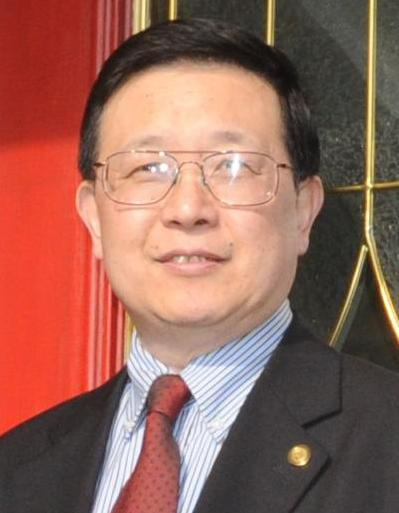 Dr Ip was awarded in 2015 “Gold Medal with the Congratulations of Jury” and “Thailand Award for Best International Invention” in the 43rd International Exhibition of Geneva, and he was awarded the “Natural Science Award ” in 2013 Ministry of Education Higher Education Outstanding Scientific Research Output Awards by the Ministry of Education of Mainland China. Dr. Ip is visiting professor of Civil Aviation University of China, Sun Yat-Sen University, South China Normal University, University of Electronic Science and Technology of China, and Honorary Fellow of the University Warwick, Warwick Manufacturing Group. He is principal research fellow, and Associate Director of IGDS, a postgraduate programme joint with the Warwick University and the Hong Kong Polytechnic University. He is a chartered engineer, senior member of IEEE and member of Hong Kong Institution of Engineers, and members of various professional bodies in mechanical and electrical engineering. Dr Ip has published more than 250 papers with over 150 papers in SCI indexed journals and has written books and invited book chapters. His publications are related to AI, decision support systems, ERP, and information technology. He is also the Chief Editor of Enterprise Information Systems, Talyor and Francis (SCI indexed); founder and Chief Editor of the International Journal of Engineering Business Management, Sage publishing (ESCI and SCOPUS Indexed) and editorial member of various international journals. He also served as consultant and independent non executive directors of listed technology companies in Hong Kong. The talk will introduce some recent trends of Enterprise Information Systems (EIS) such as IoT, Big data, AI and their applications in various industries, it will also explore some of the space related projects undergoing in his project team, and a Special Issue on Spacecraft Informatics with EIS journal which is about the application of information system and information theory in the design, development and operation of spacecraft. Schahram Dustdar is Full Professor of Computer Science and head of The Distributed Systems Group at the TU Wien, Austria. From 2004-2010 he was also Honorary Professor of Information Systems at the Department of Computing Science at the University of Groningen (RuG), The Netherlands. From Dec 2016 until Jan 2017 he was a Visiting Professor at the University of Sevilla, Spain and from January until June 2017 he was a Visiting Professor at UC Berkeley, USA. He is an Associate Editor of IEEE Transactions on Cloud Computing, IEEE Transactions on Services Computing, ACM Transactions on the Web, and ACM Transactions on Internet Technology and on the editorial board of IEEE Internet Computing and IEEE Computer. He is the Editor-in-Chief Computing (Springer). Dustdar is recipient of the ACM Distinguished Scientist award (2009), the IBM Faculty Award (2012), an elected member of the Academia Europaea: The Academy of Europe, where he is chairman of the Informatics Section, and an IEEE Fellow (2016). This talk explores how to integrate the Internet of Things (IoT) with software, people, and systems, considering modern Cloud Computing and the IoT with Big Data. I will present a fresh look at this problem, and examine how to integrate people, software services, and things with their data, into one novel resilient ecosystem, which can be modeled, programmed, and deployed on a large scale in an elastic way. This novel paradigm has major consequences on how we view, build, design, and deploy ultra-large scale distributed systems and establishes a novel foundation for an “architecure of value” driven Smart City. Dr. Wang is the initiator of a few cutting-edge research fields such as cognitive informatics, denotational mathematics (concept algebra, process algebra, system algebra, semantic algebra, inference algebra, big data algebra, fuzzy truth algebra, fuzzy probability algebra, fuzzy semantic algebra, visual semantic algebra, and granular algebra), abstract intelligence (aI), the spike frequency modulation (SFM) theory, mathematical models of the brain, cognitive computing systems, cognitive learning engines, and the cognitive knowledge base theory. His work and basic studies have been across contemporary disciplines of intelligence science, robotics, knowledge science, computer science, information science, brain science, system science, software science, data science, neuroinformatics, cognitive linguistics, computational intelligence, and engineering systems. He has published 490+ peer reviewed papers and 36 books in aforementioned transdisciplinary fields. He has presented 42 invited keynote speeches in international conferences. He has served as general chairs or program chairs for more than 26 international conferences. He has led 10+ international, European, and Canadian research projects as PI by intensive collaborations with renowned peers and leading industrial partners. He is the recipient of dozens international awards on academic leadership, outstanding contributions, best papers and teaching in the last three decades. He is a top 2.5% scholar worldwide and top 10 at University of Calgary according to Research Gate’s international statistics. It is recognized that the next generation of AI technologies and robotics will be driven by deep basic studies and novel mathematical means, because neither natural nor artificial intelligence can be adequately denoted and manipulated by pure numbers in R as in traditional approaches. This fundamental constraint for AI has led to systematic studies on the hierarchical framework of contemporary sciences of intelligence, knowledge, information, and data as well as underpinning denotational mathematics. It is discovered that AI may only mimic imperative and iterative intelligence. However, more sophisticated human intelligence according to the abstract intelligence (aI) theory [Wang. 2009], such as those of cognitive, causal, recursive and inductive intelligence, had hardly been implemented by traditional computational intelligence. This keynote lecture presents a number of novel cognitive systems, which address the hard aI problems, encompassing cognitive robots (CR), cognitive machine learning engines (CMLE), cognitive neural networks (CNN), and applied cognitive systems. Dr. Fatos Xhafa received his PhD in Computer Science in 1998 from the Department of Computer Science of the Technical University of Catalonia (UPC), Barcelona, Spain. Currently, he holds a permanent position of Professor Titular at UPC, Barcelona Tech. He was a Visiting Professor at Birkbeck College, University of London (UK) during academic year 2009-2010 and Research Associate at Drexel University, Philadelphia (USA) during academic term 2004/2005. Prof. Xhafa has widely published in peer reviewed international journals, conferences/workshops, book chapters and edited books and proceedings in the field (http://dblp.uni-trier.de/pers/hd/x/Xhafa:Fatos). He is awarded teaching and research merits by Spanish Ministry of Science and Education, by IEEE conference and best paper awards. Prof. Xhafa has an extensive editorial and reviewing service. He is editor in Chief of International Journal of Grid and Utility Computing andInternational Journal of Space-based and Situated Computing from Inderscience and member of EB of several International Journals and Guest Editors of Special Issues. He is Editor in Chief of the Elsevier Book Series “Intelligent Data-Centric Systems” is actively participating in the organization of several international conferences and workshops. He is a member of IEEE Communications Society, IEEE Systems, Man & Cybernetics Society and Emerging Technical Subcomm of Internet of Things. Massive Open Online Courses (MOOCs) emerged as a paradigm shift in Higher Education Online Learning by offering learning contents to a larger number of students world-wide, belonging to various academic institutions and having different knowledge settings. A number of MOOCs have therefore been proposed and are in place by Virtual Campus of Open Universities. However, with such a solution come as well various challenges: drop outs during a course, low participation, and lack of students’ motivation and engagement, which overall threaten the MOOC paradigm to failure! One important way envisaged to overcome the issues arising in MOOCs is to use BigData learning analytics to support actors in MOOCs, namely, students, instructors, tutors and stakeholders. Due to the large size of the participants in MOOCs as well as their activity, the amount of data generated daily exceeds normal data sets size yielding to BigData analytics. The challenges now become to cope with processing and analysing such amount of data in ready-to-consume formats according to actors' needs. The aim is to support their activity and increase MOOCs system performance overall. In this talk we will discuss about the issues and challenges of Big Data Learning Analytics for Massive Open Online Courses (MOOCs). This talk will bring the vision of the research project colMOOC for the road ahead to efficient, scalable generation of intelligent MOOCs systems. You are the 78834th visitor.